Nanjing Maici Titanium Industry Co., Ltd. is specialized in providing design, manufacturing, installation and site service of non-ferrous pressure pipes, pipeline prefabrication, chemical equipment, and non-standard parts. Maici is a shareholding high-tech enterprise which is established in 2004, located at Jiangning Airport Industrial Park, Nanjing, Jiangsu, China. After years of development, now the company owns advanced piping production line, super clean workshop, experienced technicians and skilled workers, especially for special material pressure pipes, Maici is the top-rank manufacturer and industry leader in China from processing capability to production scale, has high market share in this area. Our processing capability of non-ferrous metals is 1200 tons/year, and annual sales has exceeded a hundred million Yuan, our products are widely used in Petroleum industry, Chemical industry, Metallurgy, Environmental protection, Ocean engineering and other fields, and are exported to different countries and regions such as Europe and America, Asia Pacific etc. Maici has achieved National A-level certificate for manufacturing non-ferrous pressure pipes, GC2 Installation Certificate, ASME U & PP Certificate, EU PED Certificate, as well as we passed dozens of National patent certification, Enterprise Technology Center certification, high-tech enterprise certification, Technology-based enterprises certification, and we also passed ISO9001: 2008 Quality System, ISO14001: 2004 Environmental Quality System, OHSAS18001: 2007 Occupational Health and Environmental Safety Management System Certificates, Maici has been assessed as provincial“Observing contract and keeping promise enterprise”, "Excellent management innovation enterprise "and" Science and technology enterprise". The philosophy that the company always sticks to is that "continuous technical innovation, continuous process improvement, quality first", supplying customers with most satisfied products and services. Maici shall make greater contribution to the manufacturing and improvement of special material products , and the progress of society. 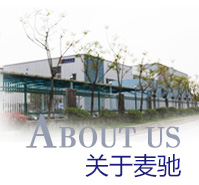 On October 2004, Nanjing Maici Mechanical and Electric company was established. On May 2005, Shangfang Industry Park plant was put into use. On May 2006, West Tanyuan Road plant was put into use. On December 2006, Maici signed land purchasing agreement of Jiangning Airport Industry Park. On May 2007, Xingmin Industry Park plant was put into use.The company is renamed as Nanjing Maici Titanium Industry Co., Ltd.
On May 2010, piping production line was put into use. On October 2012, 3# workshop was put into use.